Lost on a Deserted Island is a teambuilding activity that also helps people share a little about themselves. Given the scenario that everyone is lost and stranded on a deserted island, each person describes one object that they would bring and why. This game is a teambuilding and get-to-know-you icebreaker. The recommended group size is medium, although small and large group sizes are possible too. An indoor setting is ideal. No special props or materials are required. 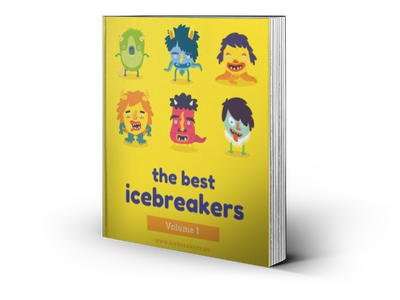 This icebreaker works well for any age, including adults and corporate settings. The situation is dire — following a shipwreck, everyone has been stranded on a deserted island! Each person is allowed to bring one object to the island — ideally something that represents them or something that they enjoy. The first part of this icebreaker is simple: each person is asked to describe what object they would bring and why. This need not be realistic; if someone loves music, he or she might choose to bring a guitar, or an animal lover might choose to bring a dog, a food lover might choose to bring sirloin steaks, and so on. Encourage people to be creative. After everyone has introduced their object and why they have chosen that object, the teambuilding portion follows. Divide into smaller groups and ask everyone to work together to improve their chances of survival by combining the various objects that they introduced. If necessary, you can add more objects, but be sure to use all the objects that everyone mentioned. If you wish, you can reward the most creative group with a prize. Lost on a Deserted Island is an approachable way to get people to open up and share a little bit about themselves and what they enjoy or value.